Scenic Cement is a ready-to-use spray or brush-on adhesive specially formulated to glue Ballast, Turf and other landscape materials to a layout. 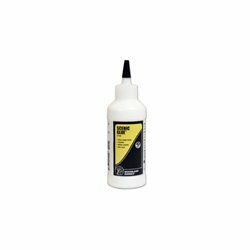 This glue is ideal for use in fixing down ballast or other ground cover to your model railway layout or diorama. In the case of ballast, it can be used with the Proses Ballast Fixer devices (PROBS-FIX-01 for OO/HO scale, PROBS-FIX-03 for N scale) to speed up the task of fixing your ballast down (very important to prevent it from getting into locomotive mechanism and point blades). 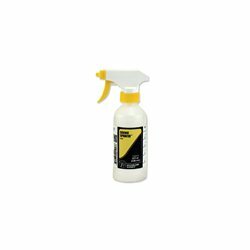 Whatever you are fixing, this glue can be used straight from the bottle onto ballast or ground cover that is already in place on the layout, and which has been moistened with a spray of water. 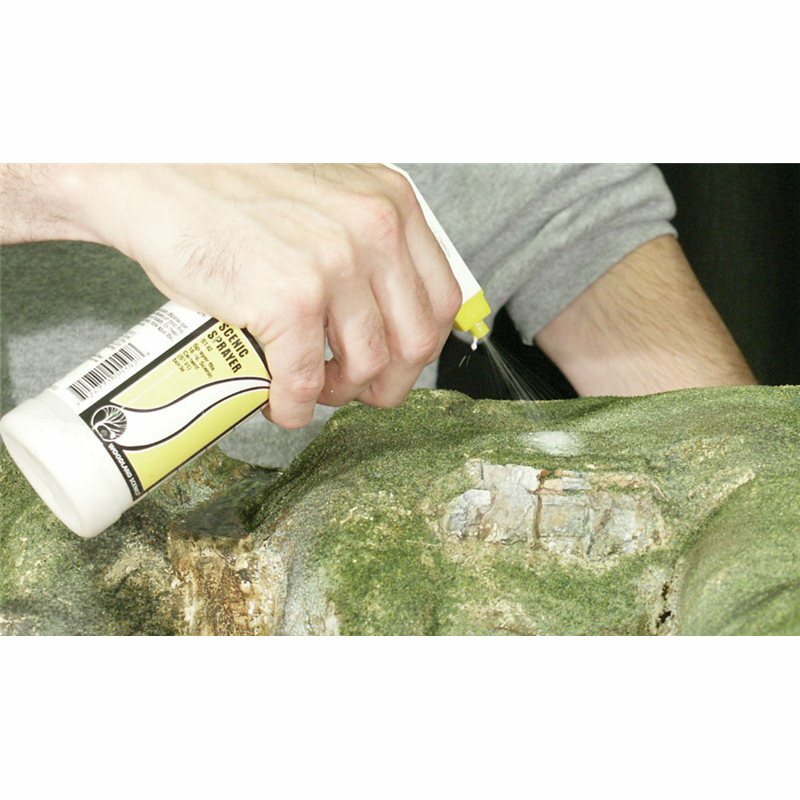 This glue can be applied using a spray head from Woodland Scenics WS192, or direct by using a syringe or pipette. The bottle contains 16fl. oz. 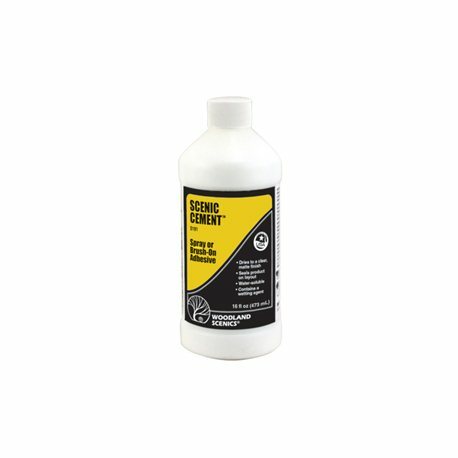 Also available: WS190 Scenic Glue.